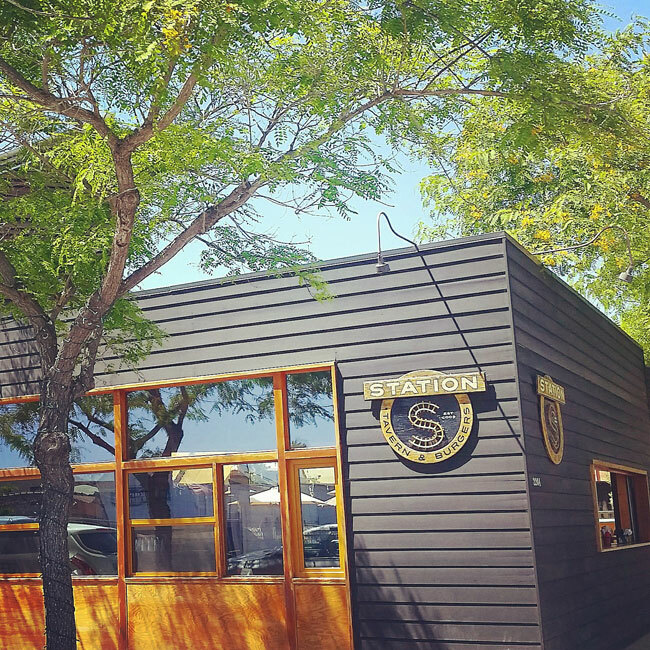 Station Tavern, located in the South Park neighborhood of San Diego, offers family-friendly dining. 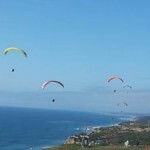 The restaurant has both indoor and outdoor seating in a relaxed atmosphere. 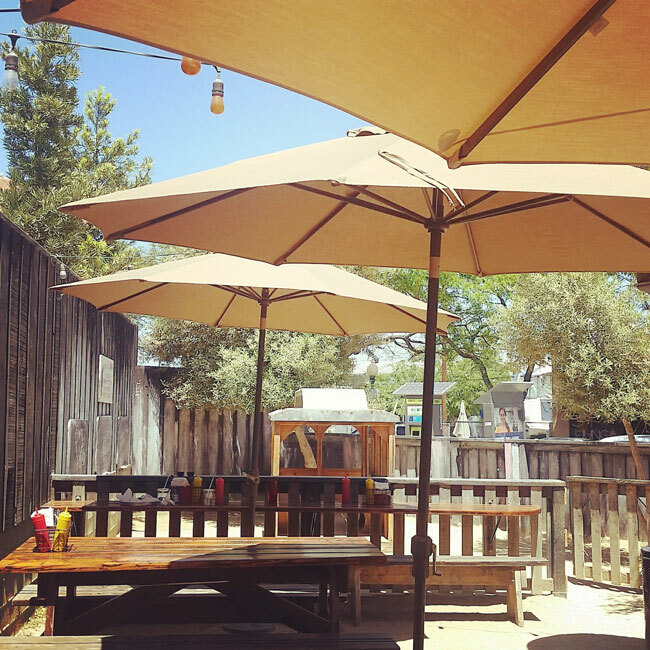 The outdoor area of the restaurant offers a good amount of shade, in a backyard style setting. They have some small picnic tables as well as large communal-style picnic tables. They have some small picnic tables as well as large communal-style picnic tables. The large tables would be great for a large group meeting up at the restaurant. 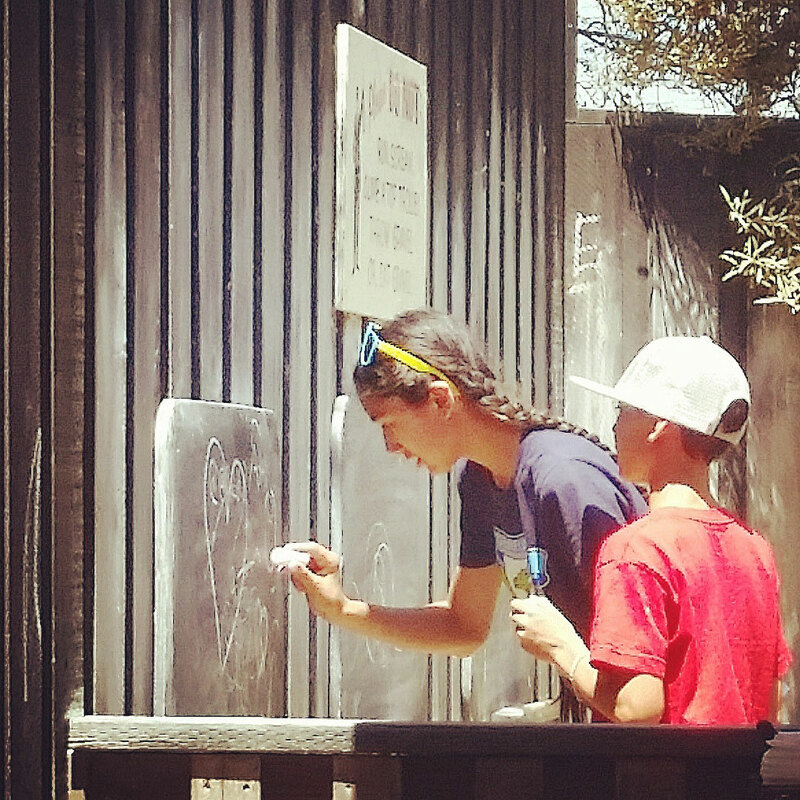 Station Tavern also has a gated play area for kids. 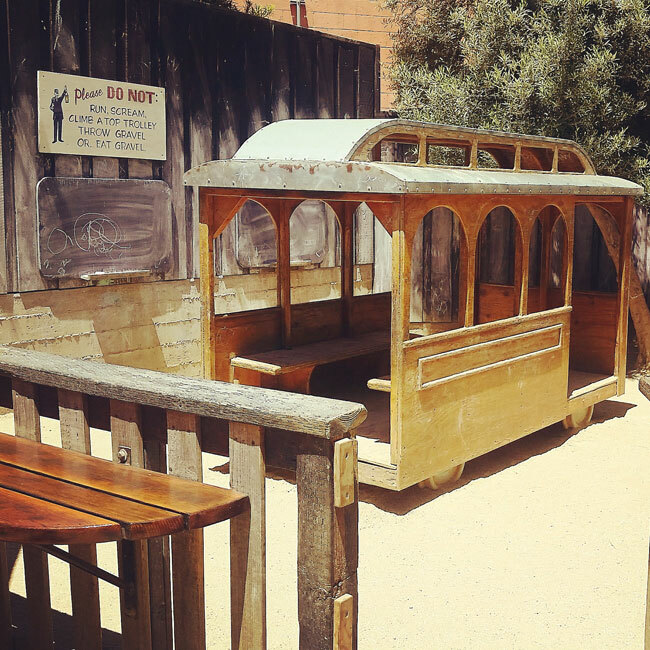 Here you’ll find some chalkboards, and a small wooden trolley car. It’s super cute! The trolley car was put there for some significance. The restaurant was built on the location a previous trolley station from the early 1900’s. Check their website or ask an employee for more details. All of the food that we’ve tried at Station Tavern has been delicious! The Breakfast Sandwich, pictured above, has eggs, avocado, bacon, and more. 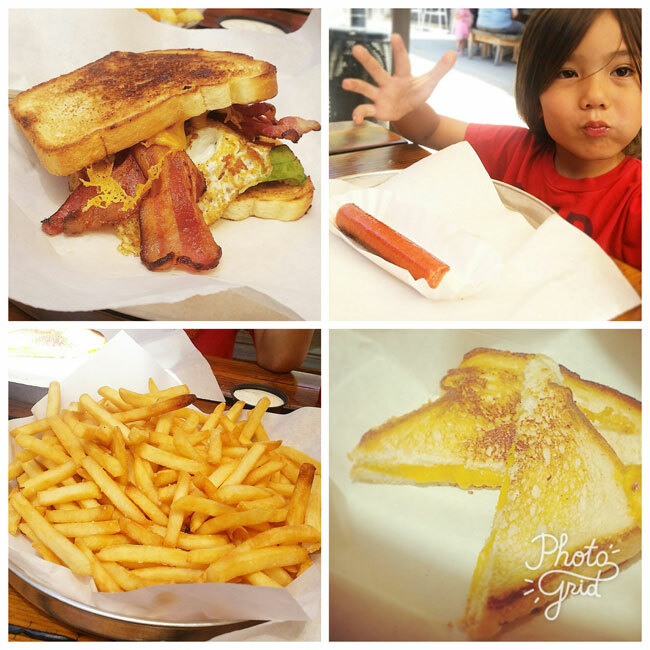 The grilled cheese sandwich is made with cheddar cheese, and they’re great at customizing your order, such as asking for a “naked dog”. The fries are some of the best we’ve had. Be sure to ask for their special dressing on the side. Also, their prices are quite reasonable, and they have daily specials. 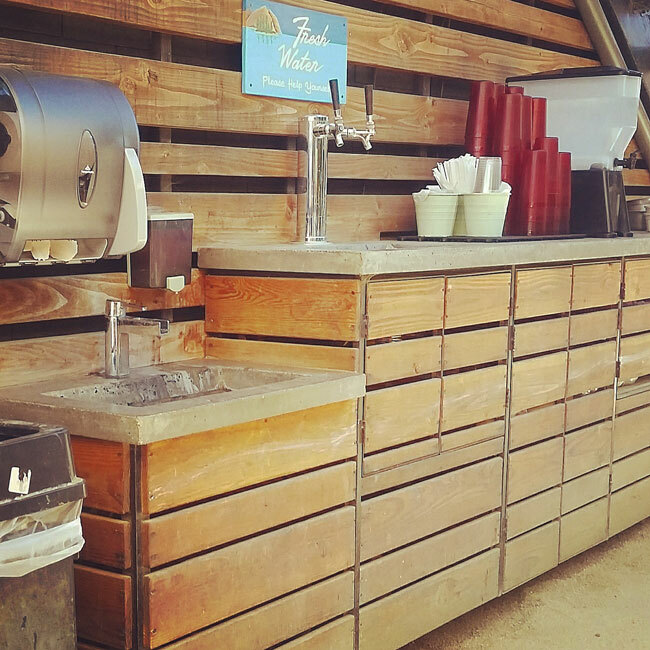 The outdoors area has a sink, and water you can pour yourself. These come in super handy when you want to clean little hands, and pour a quick glass of water. Street parking is available on the surrounding streets. 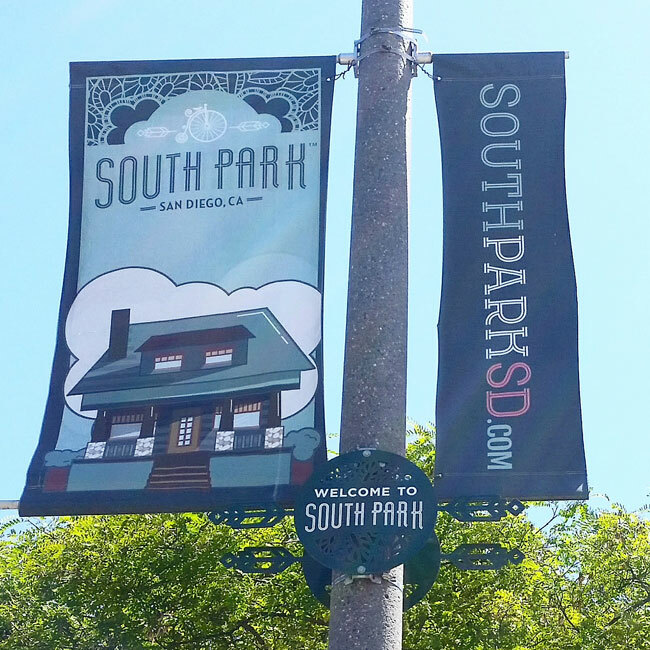 South Park is super close to Balboa Park, and downtown San Diego. 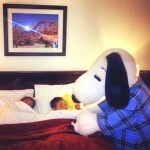 You could easily incorporate a meal at Station Tavern with a day out with the kids. 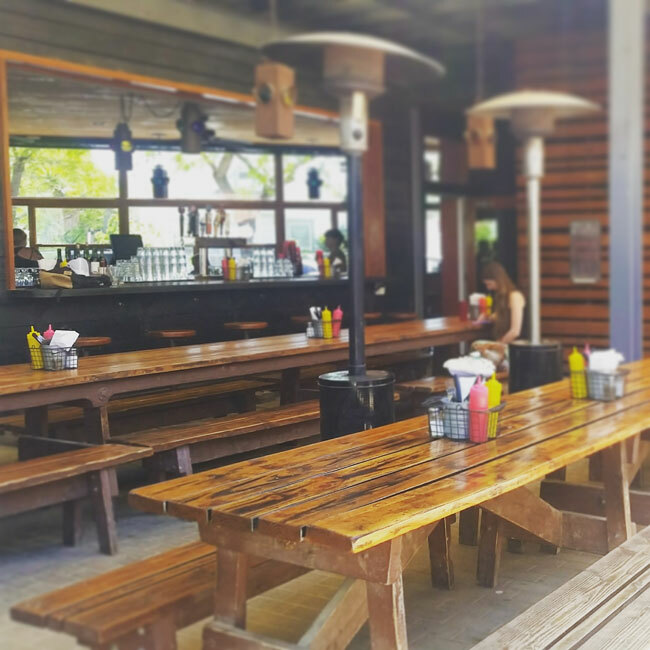 Check HERE for Station Tavern’s hours of operation, menu, and more. We’ll be back for another Breakfast Sandwich and French Fries soon. Perhaps we’ll see you there!